who da funk, freestyle, zone featuring: venus, med club and some!, berlin and more. NEW! CHANEL DRIFT! 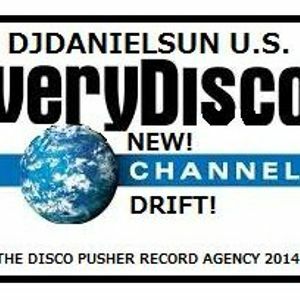 Radio Show W/ DJDANIELSUN Presents- veryDisco. THIS MIX IS AN ELECTRONIC MIX TAPE MUST HAVE as the vinyl vibe continues to make THE DISCO PUSHER RECORD AGENCY KING. JUST "DOP" JUST PURE FUKIN&apos; "DOP" SO SAYS THE DISCO PUSHER. by med club and some!